In the July 22, 2014 Ask The Headhunter Newsletter, four questions yield four tips to help you overcome some of the daunting obstacles you’ll face in your job search. What should a job seeker always say to the employer at the end of an interview? What should I do about application forms that “require” my salary history? How can I avoid a salary cut? What should I do about employers that won’t give me a decision when they promise to? 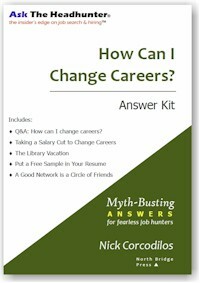 Recent questions submitted by readers reinforce the idea that it isn’t the “steps” of job hunting that matter most. It’s the unexpected obstacles. In this week’s edition, I’d like to share four important tips to help you overcome obstacles in your job search. 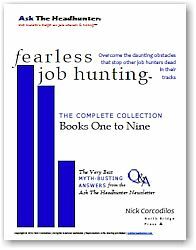 My answers in each case are excerpted from the Fearless Job Hunting PDF books. I hope these tips give you an edge! There’s a story I tell in my first book about a talented sales executive who interviewed for a job and failed to get the offer. I asked him whether he closed the interview by saying he wanted the job. No, the manager doesn’t know that. Not unless you tell him. Interesting, isn’t it, how unacceptable some think it is to make an explicit commitment, when that’s exactly what an another person needs to hear. Some companies I recently applied to have established online application forms that include the infamous salary question. Many of these forms have the field flagged as “required,“ which prevents you from moving forward without disclosing this information. Can you give some advice on how to handle this situation? Such forms don’t distinguish between text and numeric entries. Try entering CONFIDENTIAL instead of a number. If a number is required, I’d use lots of 9’s to make it clear that you’re not misrepresenting your salary, but protesting the field. I had an excellent rapport with the CEO who interviewed me. The job is just what I was looking for. It would be a next step in my career. The salary, however, is 20% less than my last job… The CEO asked me to think it over during the weekend and call him next week if I have any ideas that could bring us closer to an agreement. He asked me not to accept the position unless I could be happy for the long haul. How can I avoid a salary cut? 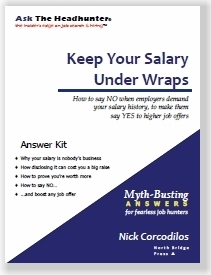 It’s up to you to show the CEO how the work you will do will pay for that salary boost… Sales doesn’t mean convincing. At its best, sales means showing how you’re going to help the other guy make profit from your work, so he can pay what you’re asking. This simple idea is foreign to many people, yet it’s at the heart of any salary negotiation — and at the heart of any good business transaction. Avoid a salary cut by showing the employer how you will help him avoid a dip in profits. Make the employer want to pay you more, by showing him how you will help him make more, too. Give the CEO some good reasons to work with you, and you may get some or all of what you want. Two weeks after my interview, I called to ask if a decision had been made. The HR person said the job was not filled, and that I was a top candidate… I have waited another two weeks without any word. I suppose I have several options: Continue waiting, call the company again to reiterate my interest, or give up and look elsewhere. Which do you recommend? How long is it reasonable to wait “patiently” after interviewing? If none of this yields an offer or believable timetable information, then stop investing time and emotion in this deal unless it comes back. Move on. I know only too well how frustrating this is, and how angry it makes you. The sooner you understand that many employers are too preoccupied to care, and that you’re not going to change their behavior, the sooner you can get on with your life. If you spend your time waiting for someone to make a decision about hiring you, then you give up control of your destiny. This is me playing hardball with you: Stop calling the employer. There aren’t any “steps” to getting hired. If there were, you’d follow them and you’d have the job you want. Getting an offer is about knowing how to overcome daunting obstacles that stop other job hunters dead in their tracks. Let’s talk about the obstacles you face in your job search! The employer is hiding the salary! Thanks for your timely and serendipitous post – especially the second tip on ‘Beating the application form’. Let me explain. This morning I woke early to be fresh for my 8:00am interview with an INGO based in Bangkok, having been short-listed based on the covering letter and CV I submitted two weeks earlier. Late last week I had been asked to complete a Personal History Form (PHF), which I did, but instead of giving hard dollar amounts on the starting/closing salary for each of my previous roles, I indicated “Prefer not to disclose”. Imagine my surprise when I checked my Inbox just 45 minutes prior to the scheduled interview time, to find that our discussion had been cancelled! Given that apart from the question of salary history, the employer already had from my CV all the information requested on their PHF, I can only conclude that my non-compliance on the question of salary history, may have cost me the interview. Am I upset? Not at all, but it seems that the whole focus of their Personal History Form – which today’s covering email described as “an important tool in our recruitment process” – was just a ruse to elicit my earnings to date! Actually I am relieved that I did not invest more time in courting an organisation who appears to value their bureaucratic approach to HR management, more than actually talking to me as a candidate – and another reason why I agree with your strategy on non-disclosure of salary history and recommend your ‘Fearless Job Hunting’ approach. With regard to the issue of a firm not providing timely feedback, or a decision, to a “top candidate.” I see it as a sign of disrespect. A colleague was short-listed for a senior level job with a firm, and was slated for a final late Friday afternoon call with the firm’s managing partner. Instead of keeping the call, the partner went on a golf outing. He handed off the interview to a subordinate who, it turned out, also left the office early for the day. The recruiter told the candidate, the “process is going to take longer,” but offered no apology. My colleague immediately accepted another pending offer and withdrew from consideration for the first job. What’s interesting is that the partner who went golfing called the following Tuesday apparently uninformed by the recruiter that the colleague had taken another job. My colleague believes he dodged a bullet with this firm because of its “they went that-a-way” management style. Firms that jerk you around in the interview process will most likely also continue this behavior once you are on-board. It is your life. Work where you will be appreciated and respected. With regard to salary disclosure, some of us have salaries that are public record. I do not have a problem listing my salary on applications. However, I do make sure I let the potential employer know what I am worth to them when we talk money. A wise old man once told me you never stop looking for a better job, even though you just got hired for the current one. I think the idea of “company loyalty” faded years ago when IBM laid off 18,000 people in one day. I remember that clearly. I agree, if the company is not willing to commit on a hire in a timely fashion, they will not be willing to give salary upgrades or promotions or anything else. Unless this is your dream job, you will be stuck. There is, or should be, a concept of respect. I have found that the best way to “get a job” is to know exactly what you want to do. For instance, during my last search I knew I wanted to raise money for a nonprofit I respected,. Therefore, I was able to look for jobs as a “Development Director.” Everyone could clearly understand what I wanted to do. I sent out 50 targeted inquiries to companies with open job postings for a Development Director. I garnered 10 interviews (some on the phone) and received 2 job offers. The entire process took 6 months. I have a further gripe with mandatory applications: the fact that these standard forms are completely unsuited for relating any self-employed, free-lance or contract work experience (basically any “1099” work). One particularly annoying form I encountered had a drop-down menu for “Reasons for leaving,” with choices of quit, fired, or laid off. Nothing about temporary or contract work. How do you get around crap like that? 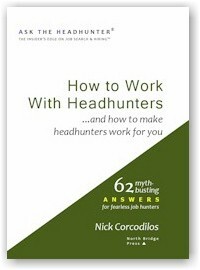 Nick, on Tip #1: It’s a great close if you are convinced that you want the job after the interview. But sometimes at the end of it you realize that the interview gave you a peek behind the curtain and it’s not pretty. In fact, you are NOT sure that you want it. What you see is a problem that is going to interfere with your job and your tenure there. Should you just say “I want this job” and let the chips fall where they may? Example, for a virtual job that would have been part time but getting me into a proposal writer/marketing area in healthcare, my last interview (phone) was with the biz dev VP (to whom I’d report) and for whatever reason, the CEO. I had had some earlier concerns, but the call clearly demonstrated conflict between the two on the expectations for the position and strategy in the area, and I knew from the biz dev VP that I would have to be ‘comfortable’ dealing with the CEO. (In other words, I’d be thrown at him in any dispute.) I also asked the CEO (founder) about the qualities of people he’d like to see in the company and got “I don’t know what you mean by that question.” (!!) I thanked them for their time and simply said, “I know I could do a good job for you”. When I followed up this week with the biz dev VP using Tip #4 because I wanted to close the file, I got the ‘we are going in a different direction’. So I leveled with him–told him that I saw the conflict on expectations, that it would be difficult to do one’s best work under those circumstances, particularly when working part time and virtual, and best wishes. 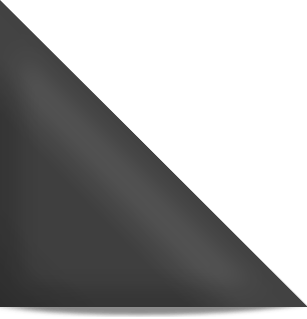 @Dee: There are two components to a job offer. The job itself (do you want to do it?) And the terms (is the money enough, do you like that corner office with windows?). You can say you want the job. But the terms are another story, and those aren’t laid out til an offer is made. You can say yes to the job, and reject the terms later.